Click Here To See Action Comics Weekly #642 Comic Book! Check out this very nice 1989 page, which was penciled by the great Jim Mooney, and inked brilliantly by Ian Akin, from the story titled: "The Summoning!" 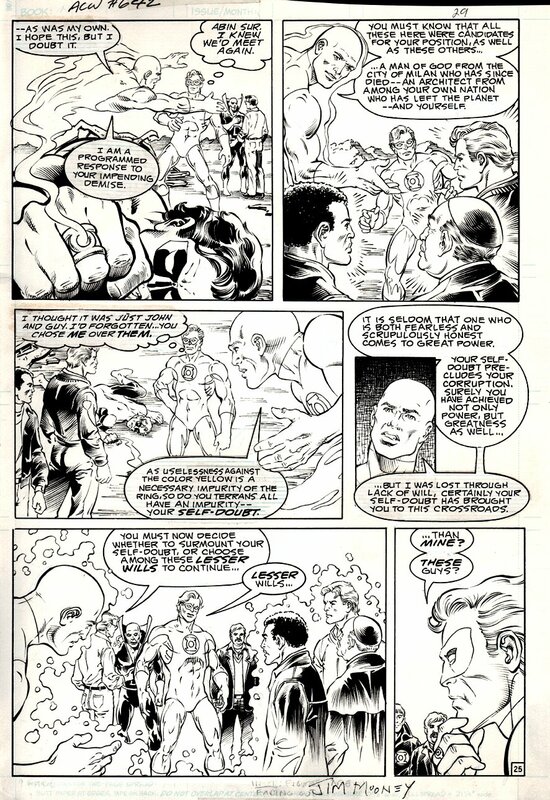 This nice page features GREEN LANTERN'S HISTORY! At a tense moment in their lives, Hal Jordan's successors are all brought to his dying spot, outside of time and space. Hal then begins to choose his replacement. 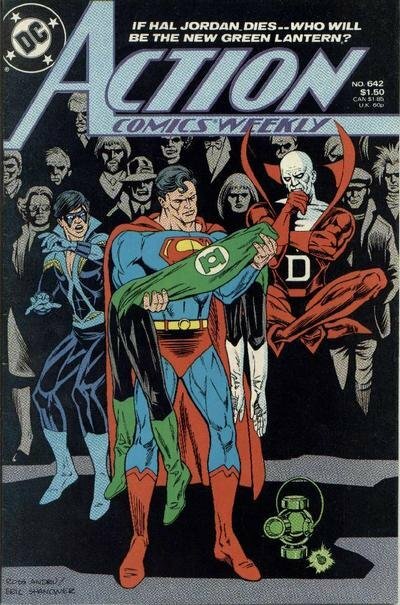 But Abin Sur's spirit, Clark Kent and Deadman convince Hal that his time is not up yet. Convinced, Hal's spirit rejoins his body and Green Lantern lives again! Just a nice page! ALL art on our website (including this one) are able to be purchased with VERY fair time payments, and trades are always considered towards "ANY" art on our website! Just send us an email to mikeburkey@aol.com and we can try to work something out.